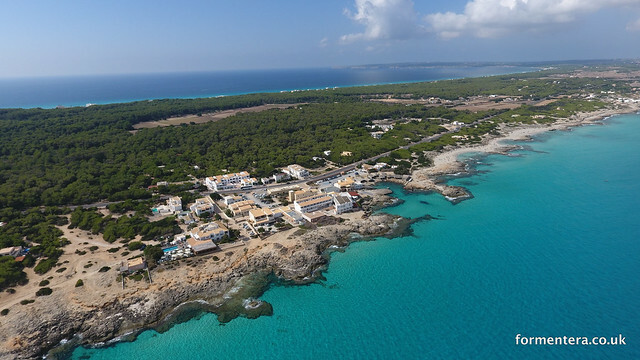 Outstanding views over the sea and countryside around Es Calo. 3 apartments with modern duplex design. One twin bedroom with full length windows. Ceiling fans and built-in wardrobes. Living room on first level with sofa bed, sliding doors lead to terrace with views out to sea. Upper living area on second level reached by open-plan staircase with sofa bed. Rear terrace with views across the pine woods, village and countryside. Kitchen separated from lower living room by breakfast bar.